Meghan Markle, My Fair Lady? As seen in a Twitter video posted in June by fan Aya El Zeiny (@elzeiny99), the Los Angeles-born Duchess of Sussex speaks with what many think is a slight British accent while talking to supporters during a public appearance in Cheshire, England, her first solo outing with Queen Elizabeth II. The encounter was recorded almost a month after Meghan and Prince Harry's royal wedding. Wearing a beige Givenchy sheath dress with a structure cape-style shoulder overlay and a black belt, the duchess smiled graciously as she shook fans' hands and asked for their names. She also talked about her wedding with a woman who complimented her on her bridal look. "We all had a great day, I think," she said. "The sun was shining for us." Meghan had already begun to speak with a less American-sounding accent in public in the months leading up to the royal wedding. The London Times reported days after the royal wedding that a the queen's senior palace adviser Samantha Cohen was instructed to teach Meghan everything she needs to know about royal life and about being the Duchess of Sussex over the next six months. It is speculated that such lessons include accent and tone modification and learning to use more British words. It is not unusual for expats to adopt a local accent and also use popular local slang while living abroad or living with a foreigner. Madonna, who was born in Michigan and moved to New York to begin her entertainment career, famously debuted a British-sounding accent after moving to England with her then-husband, Guy Ritchie more than 15 years ago. "She does naturally pick up on languages and sounds of people around her. It's certainly not meant as an effect," her rep said at the time. "When she's back in New York for a while, she gets right into the New Yawk sound." 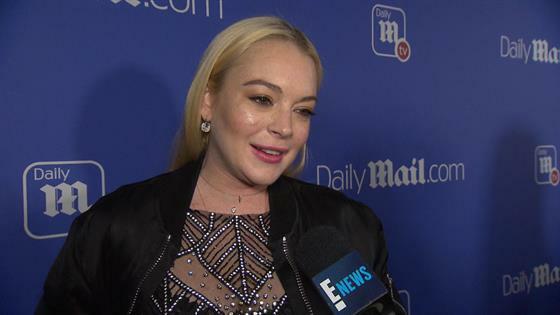 Would Lindsay Lohan Do a "Mean Girls" Sequel? In 2016, New York-born Lindsay Lohan debuted an ambiguous foreign accent after spending recent years abroad, including in London and Dubai, following personal and legal turmoil that stalled her acting career. "It's a mixture of most of the languages I can understand or am trying to learn," the Mean Girls star told the Daily Mail at the time. "I've been learning different languages since I was a child. I'm fluent in English and French, can understand Russian and am learning Turkish, Italian and Arabic."